I was recently invited to sample some new happy hour items at The Grill on the Alley located on the first floor of the Aventura Mall. I previously recommended their happy hour menu here. The menu has been tweaked but it remains a great deal. The current deal is available Monday to Friday from 4- 8 p.m.and on the weekends from 11:30 a.m to 6 p.m.
Hummus, Popcorn Shrimp and Bleu Cheese Fries are $3.95. Crab Cakes, Seared Ahi Tuna Sashimi, Kobe Side Kicks and Chicken Pot Pie are $4.95. They also have drink specials featuring $7 mojitos and martinis, $3.50 beers and $2 off wines by the glass. The new menu also includes "Chef Bites" featuring a Colorado Lamb Chop served with mint mashed potatoes and demi glaze for $8; Braised Short Ribs with roasted garlic mashed potatoes for $7 and Peppered Filet Medallion with roquefort cheese sauce for $9. All three were very good and a bargain at those prices. I was also fortunate to try a new addition to the regular menu, the 30 oz. Tomahawk Chop. This was very good and sure to please the steak lovers out there. The Grill on the Alley's happy hour offers very good food at great prices. It's the perfect spot before or after a movie and a great way to end a day of shopping at the mall. I was invited to spend a few days in Charleston and eagerly jumped on the opportunity knowing that they had a thriving food scene. We actually stayed at the beach in Island of Palms which is approximately 12 miles from downtown Charleston and a 24 minute drive. For the South Florida readers, I would equate this with staying on Key Biscayne and driving to the Design District for dinner. The first stop was lunch at Gullah Cuisine. Gullah was on my list of potential places to try but I had no intention of searching for it. Well, we happened to pass right by it on our drive from the airport to our house. It was not far from where we were staying and was perfect for lunch. It's a casual spot featuring Gullah style dishes. The Gullahs were the first African Americans to reside in the Low Country (coastal area of South Carolina). Fortunately, I was hungry (surprise surprise) so I ordered a few dishes. I started with the she-crab soup which is a Low Country signature dish. This was a delicious combination of bisque with crab meat and topped with sherry. She-crab soup is also made with crab roe hence the "she". I followed that up with fresh and lightly fried okra along with fried shrimp and Gullah rice. All three were great. The shrimp were nicely seasoned with little to no coating. The Gullah rice was packed with flavor thanks to the sausage, chicken and shrimp along with the various seasonings. Chowprincess had the macaroni and cheese which was "the best ever". I was able to steal a few bites and it was awesome. I'm not sure I would make a special trip for Gullah Cuisine with all of the other great options in Charleston but I would certainly recommend it if you are in the area. Next up was dinner at FIG. FIG (Food is Good) is located in downtown Charleston. Chef Michael Lata won the James Beard award for best chef in the Southeast in 2009. He has a reputation for using local and sustainable foods with a changing menu based on seasonal offerings along with a few staples. FIG was my kind of place. They served great cocktails along with reasonably priced wine by the glass options. The dining area was modern and upbeat. The server was friendly and knowledgeable. The food was stellar. The night we were there the menu featured several appealing appetizers which made ordering difficult. I decided to bypass the entrees and go with three appetizers. Narrowing the list down to three was not an easy task. First up were the crispy Caw Caw Creek pork trotters served with a sunny side up farm egg and field pea succotash. This dish was so good that my socks hit some lady in the head ten tables over. Okay, I exaggerated. It was only eight tables. Chow P even ordered one and loved it too. This could easily be my dish of the year. Round two featured Keegan-Filion Farms pork testa. Testa is the Italian name for head cheese which isn't even cheese. Confusing, I know. It's the meat from the pigs' head and served as a terrine. Lata's version was served with Vidalia onion jam and new potatoes. This was another delicious dish. For my third course I went with the veal sweetbread ravioli with porcini mushrooms. The ravioli was fresh, soft, tasty and filled with tender melt in your mouth veal sweetbreads. A fantastic combination and a real treat. I also sampled Chow P's lacinato kale gnocchi with spicy ragout and that was a winner too. If I lived in Charleston I would frequent FIG often. They should be on everyone's must do list if visiting Charleston. We attempted to try Hominy Grill for lunch the following day but we had the Chowbabies in tow and the line was long so we passed. I was fine with the decision knowing that we were going to McCrady's for dinner. I was really looking forward to our dinner at McCrady's. 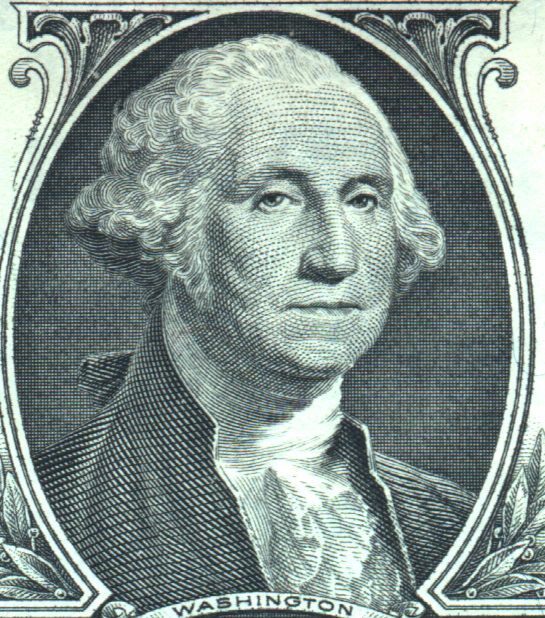 Not because George Washington dined there but because the kitchen was manned by 2010 James Beard winner, Chef Sean Brock. Unfortunately, I left disappointed. I will take some of the blame because I passed on the tasting menu. It was a long day and late and Chow P wasn't into it. The restaurant requested that the entire table order it so I passed. In hindsight that was a mistake because I suspect that the tasting menu showcased Chef Brock's cutting edge skills more than the regular menu. That being said, there is no excuse for a sub par regular menu from a Beard winner. Instead I started with the plate of house made charcuterie with pickles and mustard. I can't recall all of the items on the plate but they were all great. For my main dish I went with the grilled pork shoulder with Anson Mills grits, cow peas, green tomato pickle and mayhaw jus. The combination of Chef Brock, pork shoulder and grits excited me. B-U-S-T. All I tasted was tough pork shoulder and a plate of vinegar. It's possible that was the way it was supposed to be. If so, I didn't get it or enjoy it. Our last meal was a difficult decision between S.N.O.B, Amen Street and Cypress. I would have given serious consideration to a return visit to FIG but it was closed. Miami Chef's K and 'Zilla recommended Cypress but I knew (thanks to Twitter) that Chef Deihl was out of town so it was automatically eliminated. SNOB was well reviewed but the menu didn't excite me. Amen Street which was fairly new (Nov. 2009) featured an interesting sounding menu so that was the call. It should be noted that the well behaved Chowbabies were with us and Amen was Chowbaby friendly. The staff was great. This was a very enjoyable meal. I started with a plate of fresh and nicely crisp fried oysters. It was paired with traditional po' boy dressings (minus bread) and dill tarter. This deconstructed po' boy was a great idea and a tasty starter. Since this was my last meal, ordering Charleston's signature dish of shrimp and grits was a no-brainer. Amen's version was served with green onions, roasted tomatoes and tasso ham. This was fantastic and the perfect way to end the Charleston Chew. Amen Street is a cool spot worth checking out. I met the owner today and he said that he worked at La Sandwicherie for more than ten years and that Le Petit Prince is affiliated with La Sandwicherie. I'm not a reporter or columnist so I did not contact La Sandwicherie for confirmation. The menu is almost identical and features the same classic sauce and staple toppings minus hot peppers. I've frequented Sandwicherie regularly for 15 years or so and almost always order a Salami/Provolone with every topping minus the hot peppers... so guess what I ordered today at Le Petit?? A hamburger.. ok just kididng. I went with my favorite combo, the salami/provolone with everything. Petit's version was prepared the same and featured very fresh toppings including the crowd pleasing cornichons and the addictive homemade vinaigrette sauce. Mmmmm sooo good. The only noticeable difference was the bread. Petit's was much softer than the crisp exterior provided by Sandwicherie. It wasn't bad, just different. The owner claimed that people complained about the tough and crispy bread but I was not one of the haters. I thought the bread was a signature of their sandwich and hope Petit goes that route. Le Petit Prince offers the same classic sandwiches, salads, smoothies and juices that have been pleasing numerous SoBe locals and tourists for years. In addition, they also offer breakfast items and several crepes. My initial visit was very enjoyable and promising. Hopefully, they will be busy enough to keep everything fresh and tasty. I have high hopes for this place. Tell them The Chowfather sent you.